I referenced today’s text in my message Sunday at Asbury, talking about the stories in the Bible can really really hit us where we are. 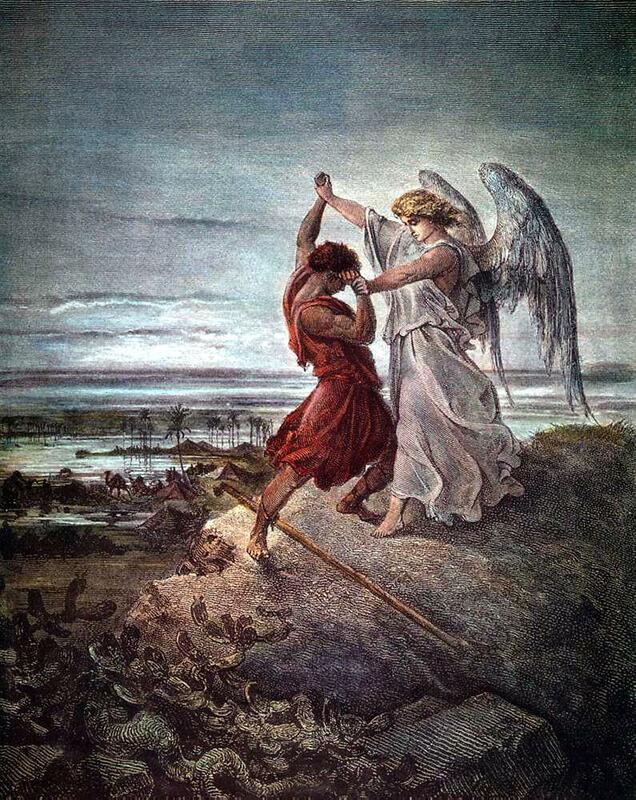 For me, one of the stories in the bible that really hits me, hits me hard, is the notion of wrestling with God. Don’t be discouraged when faith is a challenge. Don’t give up when it is hard. Sometimes faith can be a real challenge. Sometimes it really is work to hold on, to believe, even when it is hard. Just because faith is a challenge, it doesn’t mean that you don’t have faith. Just because it is work, doesn’t mean that you don’t believe. Just because you have challenges, it doesn’t mean that you are not a believe. Sometimes, we are like Jacob. We believe. We have faith. We know God. But it’s just hard. A hard time. A hard season. A hard experience. In those times, hold on. Cling tight. Wrestle with God. He won’t let go. You don’t either. Hold on. No matter how hard it may be, hold on. God’s got you.